The location was really nice and quiet and you have a lot of outdoor space and facilities to spend your time.bikes were a plus, we loved riding the bikes on the beach in the evening. Lovely location at a good price! Great place for the family holiday. 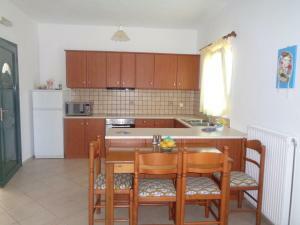 Spacious apartment clean and very well equipped. Demetra, the owner, very kind and helpful, we’ve got welcome refreshing drinks upon arrival. 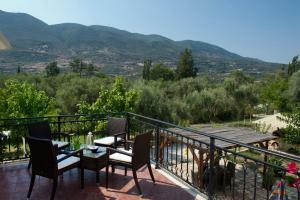 Apartment located at walking distance to the beach in the quiet part of Vasiliki, surrounded by olives garden. 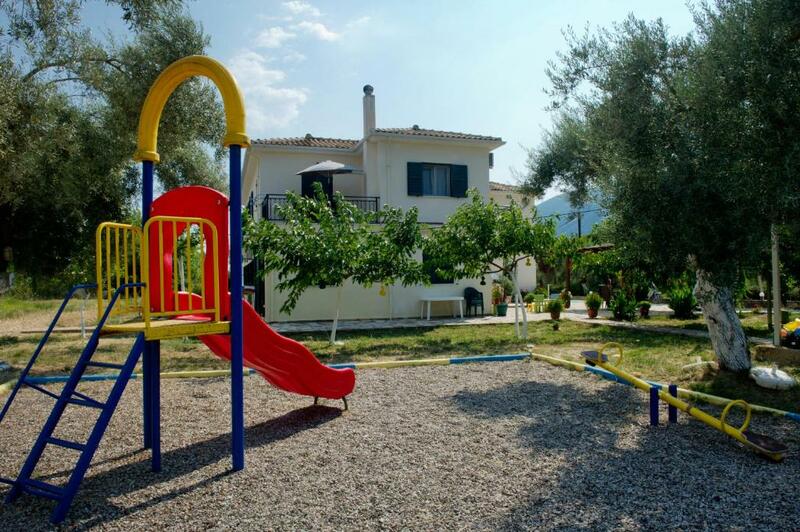 very beautiful and quiet location suitable for families with children. Mrs. Demetra is a very kind, willing and friendly lady. Her services were just excelent and above-standard. The host is a lovely woman available to ensure you’re stay is good. Our host Dimitrina is a wonderful person and was a perfect host. Everything you may need has been thought of and in case you need anything extra she is there 24/7. 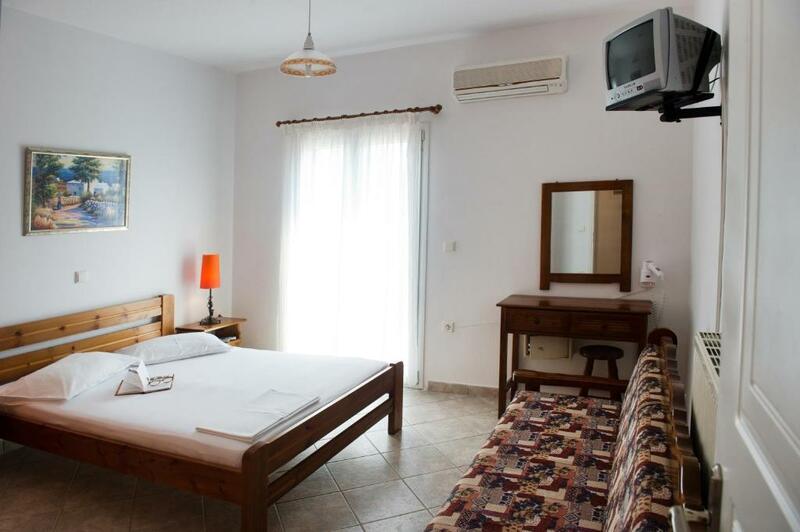 The rooms are incredibly clean and well supplied. We really loved our time at Riverside apartments. It was truly a joy to stay there. Thank you again for a wonderful time. 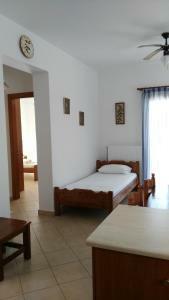 Owner of the apartments Dimitra iş very helpfull and supportive. Rooms are very big and kitchen is efficient. Exceptional location in the olive tree orchard, some orange trees, cleaning and support from the host. >@<. 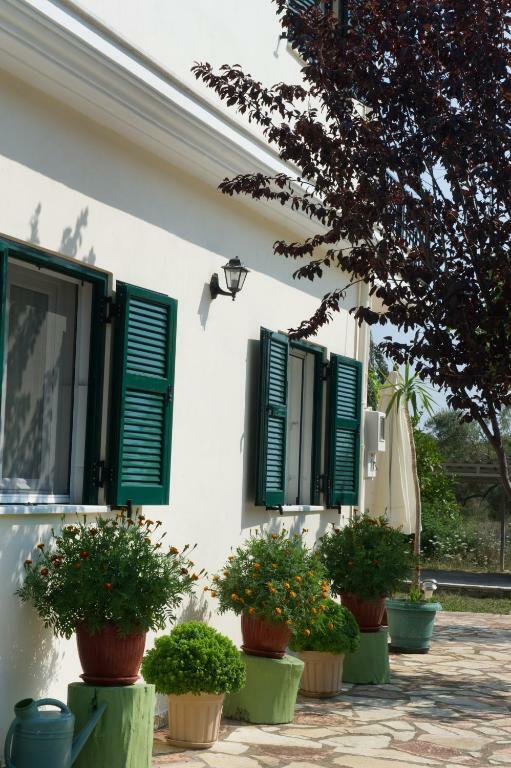 Lock in a great price for Riverside Αpartments – rated 9.7 by recent guests! 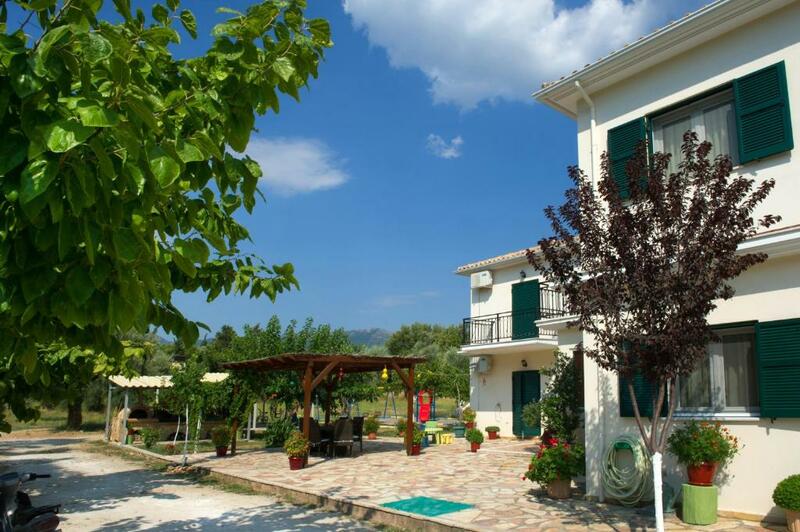 Riverside is a complex of apartments located in Vasiliki within 1,650 feet from the beach. 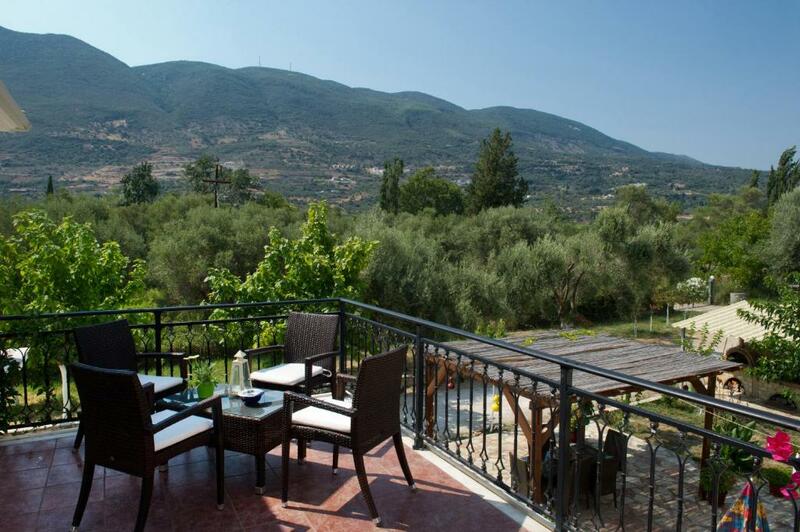 Surrounded by a tree garden with BBQ facilities, it offers self-catering accommodations with free Wi-Fi access. Facilities include a children’s playground and a foosball table. Bright and spacious, the mountain-view apartments at Riverside come with a fully equipped kitchen with dining table, stove and fridge. They will also provide you with 2 TVs, air conditioning and a safety box. Featuring a shower, private bathrooms come with a hairdryer and free toiletries. Within 656 feet, you will find a market, a bakery and a cafe. 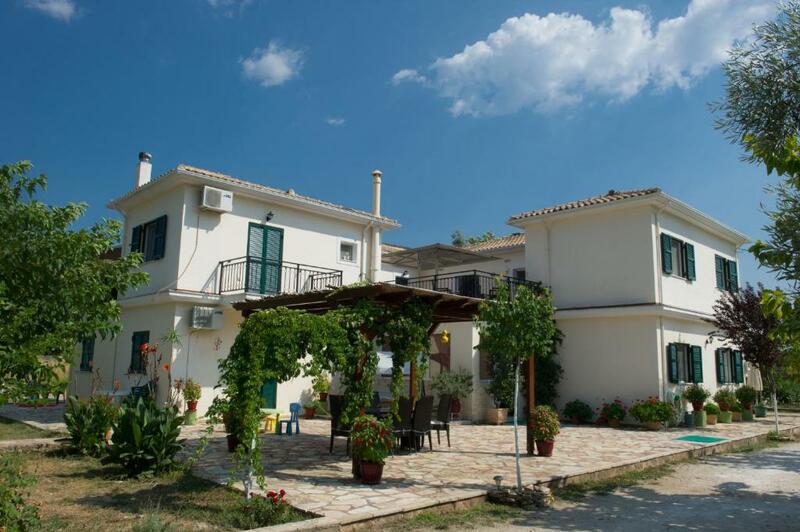 The village of Nydri is 12 mi away, while the main town of Lefkada is at 24 mi. Free private parking is possible on site. When would you like to stay at Riverside Αpartments? Located on the first floor with mountain-view balconies, these bright and spacious apartments include a fully equipped kitchen with dining area, 2 TVs, free toiletries and free Wi-Fi. Offers air conditioning. Located on the ground floor, these bright and spacious apartments open to a patio with garden views. They include a fully equipped kitchen with dining area, 2 TVs, free toiletries and free Wi-Fi. Offers air conditioning. House Rules Riverside Αpartments takes special requests – add in the next step! Riverside Αpartments accepts these cards and reserves the right to temporarily hold an amount prior to arrival. Please inform Riverside Αpartments of your expected arrival time in advance. You can use the Special Requests box when booking, or contact the property directly using the contact details in your confirmation. It's in a beautiful orchard. Great place. Very clean, very friendly owner. The Internet worked poorly on the terrace. It can be a lot better. In the room was ok but I preferred the terrace.